Design inspiration straight from nature, as expressed in an Ohme swirl cake plate and matching cups and saucers. Ohme Old Ivory porcelain is undoubtedly beautiful porcelain. But SOIOP members also know that ALL Ohme porcelain is beautiful porcelain (well, maybe not the fish plates!). Here we have an example of beautiful Ohme porcelain in the Swirl or Form L blank. With autumn now here for most of us, the changing colors of leaf and vine remind us to enjoy the transient beauty before it is blown away by winter winds. 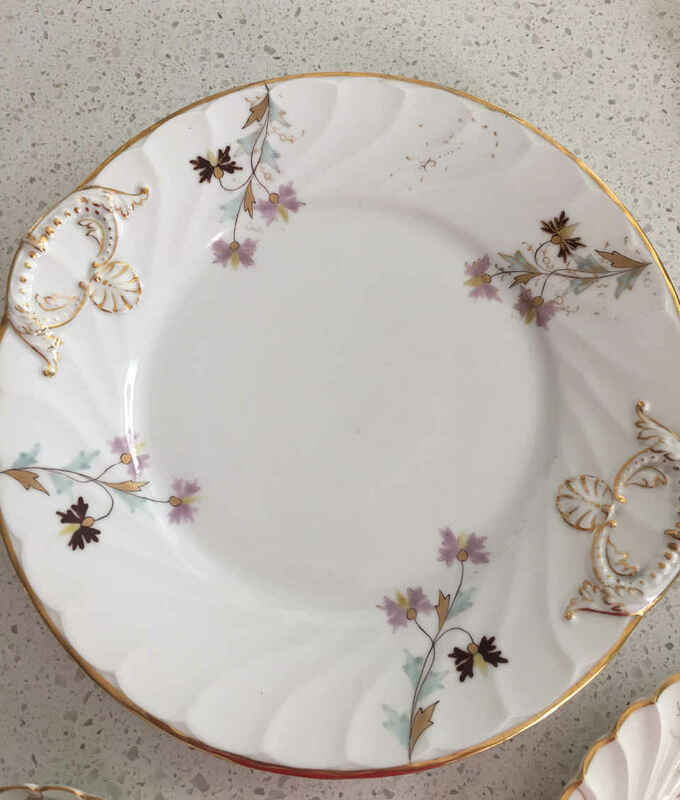 These Swirl cups, saucers, and cake plate are owned by Christine, who is not a SOIOP member but contacted us asking for more information on these pieces. She has generously allowed us to share her photos. The Swirl blank is an early blank, some suggesting this is the earliest Ohme blank. 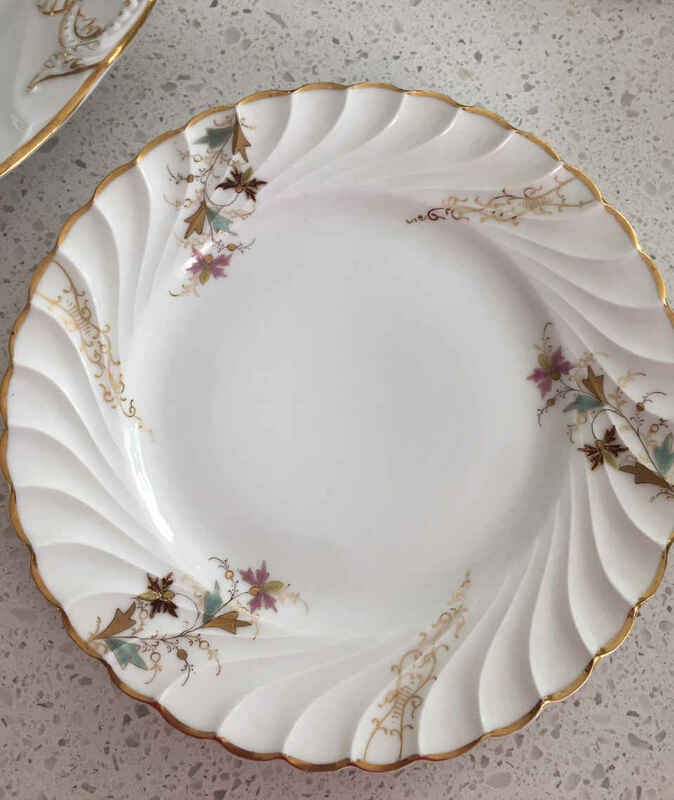 Although other manufacturers have swirls too, there can be no denying that the Ohme swirl is one of the finest in shape, lightness and whiteness of porcelain. Christine's pieces have the early Ohme mark without country designation. My guess is that these were manufactured circa 1893. 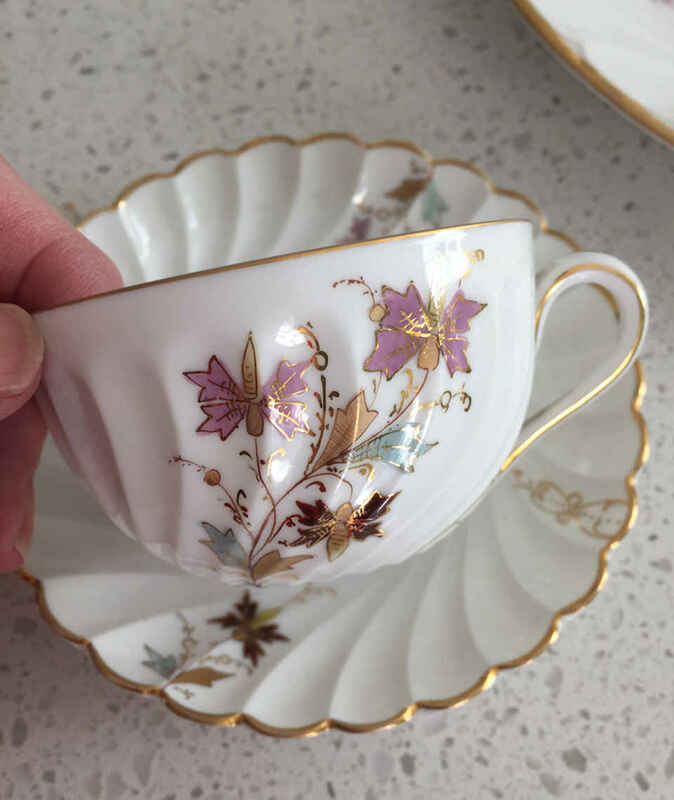 Ohme swirl pieces were decorated using attractive flower or vining arrangements, sometimes on white and sometimes on a light blue, pink, or yellow finish. Some florals are realistic, others more abstract. The pattern here looks simple, but in truth is quite sophisticated. Simple leaf shapes but with a great color palette combining both bolds and pastels, sinuous tendrils, and undulating lines of gold on a bright white background. Looking out the window, I can see these colors in the leaves and vines changing color in our backyard. 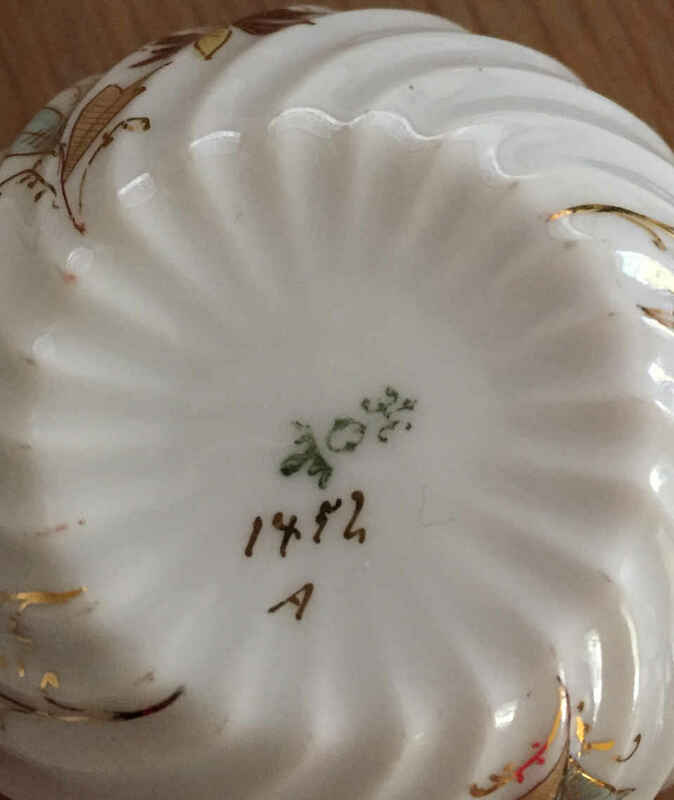 The cake plate too is interesting in its own right. I haven't seen this particular shape before (but I haven't seen as much Ohme as many other members! ).